Paradise is calling! 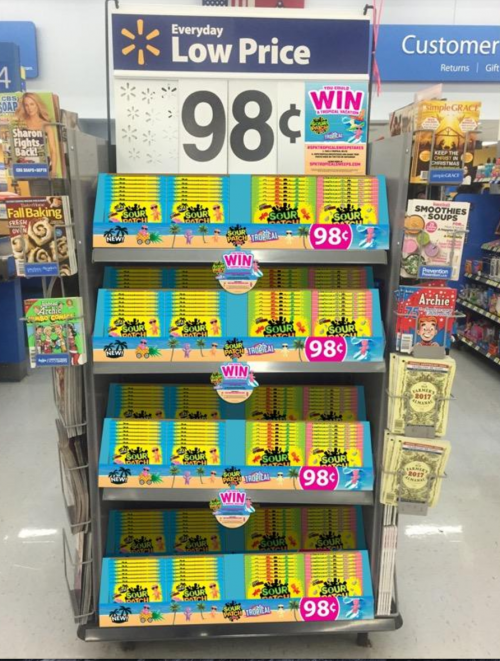 If you’re looking for a tropical vacation this summer, look no further! Enter the SOUR PATCH Kids Tropical Vacation Sweepstakes for a chance to win a trip for four to Hawaii! 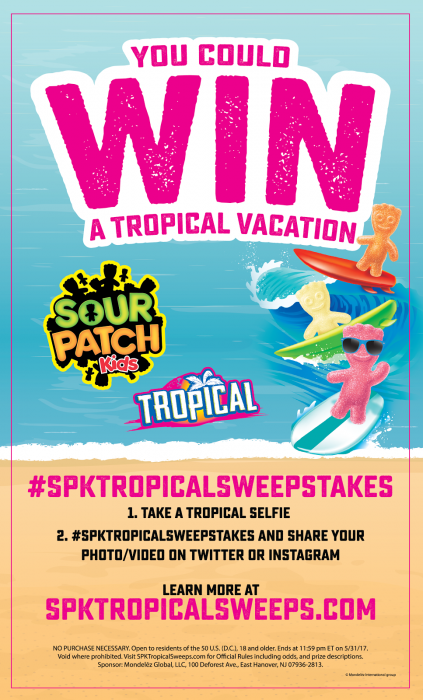 Just submit a tropical selfie to Twitter or Instagram using the hashtag #spktropicalsweepstakes. Contest ends on May 31st, so get on it! If I won the sweepstakes, I would take my family on a wonderful tropical vacation to Hawaii, which is on my bucket list!